Shopping for a new Acura MDX? The 2019 MDX with Technology package is worth a look. Navigation and the additional safety tech are worth the added cost and make the MDX a true contender among luxury crossovers. 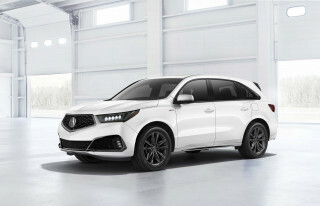 The 2019 Acura MDX full-size crossover hit the gym this year. 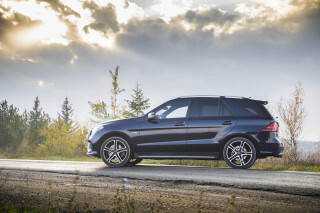 It was already a lean performer as far as family vehicles go, but now with a sportier A-Spec trim level, it's gone Whole30. The MDX comes in a single spec with packages acting as trims: Standard, Technology, Advance, Entertainment, and A-Spec. Acura also offers the MDX in Sport Hybrid guise. The 290-horsepower V-6 and 9-speed automatic transmission combine to provide strong, smooth acceleration without making too much fuss. The ride quality in the MDX is fitting for a luxury SUV, and the available all-wheel drive adds confidence for drivers in colder parts of the country. The A-Spec package adds a host of racing-inspired appearance and interior touches, but the additions are only skin deep. The MDX Sport Hybrid is powered by a powertrain borrowed from the NSX supercar, but tuned for efficiency rather than speed. With a starting price of just over $45,000, the MDX isn’t cheap, but there’s a lot to like at that price. The advanced safety tech included on every MDX makes it worth a look, but the entry-level model (if there is such a thing at $45,000) also offers a leather-trimmed interior, power moonroof, and three rows of seating. The 2019 MDX is due for an overhaul, but the current model has aged well. The MDX’s sharp lines up front and prominent diamond-patterned grille work well with its LED headlight array and relatively sporty look overall. The MDX is due for an overhaul, perhaps starting with a new snout next year. The cockpit is clean and functional, with pushbutton shifter and dual infotainment screens. Both displays serve a purpose and avoid redundancy that other vehicles suffer from, but one screen would have been enough. Acura avoided over-complicating the rest of the interior and skips the themes and gimmicky color palettes. Optional wood grains can be added to up the lux without too much fluff. The 2019 MDX delivers a comfortable ride and offers a relatively fuel-efficient hybrid powertrain. The 2019 Acura MDX nails the luxury SUV feel with a comfortable ride that takes priority over all-out performance. The Sport Hybrid is even smoother and offers an interesting value proposition, but the traditional powertrain model will be the most popular MDX. Most MDX models are equipped with a 3.5-liter V-6 that produces 290 horsepower and 267 pound-feet of torque. The engine is tuned to pull harder at low speeds, which suits the short drives most MDX owners will make. The crossover is rated to tow up to 3,500 pounds, which is plenty to pull most weekend toys. All-wheel drive is optional on all trims and a 9-speed automatic transmission is standard across the board for gasoline-only models. While a solid gearbox, it can be busy at times and hunt for gears with so many to choose from. The transmission also has a selectable “Sport” mode that is out of place on a vehicle so large. This allows the driver to select their own gears, but the MDX is clearly made to do its own thing—quietly. There is some body lean in the corners, which is to be expected in an SUV of this size but the MDX benefits greatly from special dampers that calm all but the roughest roads. The MDX gets 18-inch wheels as standard, but stepping up to the Technology and Advance packages adds 20-inchers to the mix. The bigger wheels don’t kill the ride quality and fill out the MDX’s profile nicely. The Sport Hybrid and standard all-wheel-drive models are similar in concept, but different mechanically. 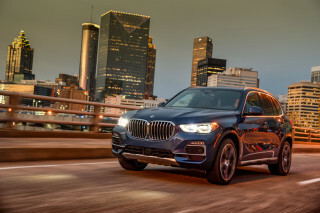 On non-hybrid models, all-wheel drive adds stability and confidence in cold weather with a true mechanical torque vectoring system that can move 100 percent of the power to the left or right and up to 70 percent to the rear wheels when needed. Acura is one of the few automakers to offer mechanical torque vectoring (Mitsubishi does too) and the MDX is better for it. Since 2017, Acura has offered a hybrid powertrain in the MDX that is largely borrowed from the NSX supercar and the RLX sedan. The system includes electric motors that power the rear wheels exclusively, sometimes knows as the “through the road” hybrid system. The Sport Hybrid still uses a 3.5-liter V-6, albeit a detuned version. A 7-speed auto is paired to the powerplant, and system output is rated at 321 hp. The “Sport” in Sport Hybrid is included deliberately—Acura says that the MDX with electricity on board offers a sportier experience. Allegedly. Even so, the added fuel economy and improved traction is worth the relatively modest $1,500 cost in our book. New for 2019 is an A-Spec appearance package for the MDX that adds exclusive 20-inch gray wheels, sportier exterior appearance pieces, and dark chrome trim to the outside. The changes truly are skin deep, as the MDX A-Spec’s powertrain is identical to the standard line. All-wheel drive is the only choice available to A-Spec buyers, and there is no hybrid option with this package. The 2019 MDX is one of the most advanced and most comfortable crossovers on the market today. The seats in the base MDX are well-padded and comfortable with enough bolstering for the crossover’s mild-mannered ride. 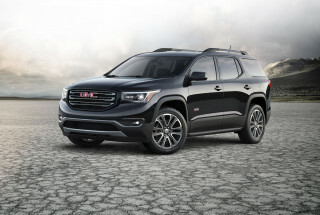 The Advance package adds sportier seats that add more bolstering. Up front, there is a large storage bin and plenty of cubbies to wrangle small items. The electronic shifter placed below the touchscreen keeps the clutter to a minimum and makes room for keys and mobile phones on rubberized mats. Surprisingly, second row seats offer more leg room than the front, which may lead to a game of “not it” over who gets to drive. The Advance package exchanges captain’s chairs for the bench, adding flexibility overall, but the 60/40-split bench folds easily for more cargo room. The third row is easily accessed and large enough for medium-sized adults. The Advance package adds two additional USB ports to the third row. Fit and finish in the MDX is excellent with leather and generous sound-deadening to cocoon passengers in quiet comfort. With the third row in place, the MDX offers 15 cubic feet of cargo space and 38.4 cubes when they’re folded down. The MDX sports 68.4 cubic feet of space with all seats out of the way. The 2019 MDX offers plenty of standard advanced safety features. The current MDX has earned a Top Safety Pick award from the IIHS and five stars overall from NHTSA. The MDX’s standard advanced safety tech helped it earn a “Superior” rating for front crash prevention. All MDX models are equipped with LED headlights, forward collision warning with automatic braking, lane departure alert with lane control, and adaptive cruise control. The Technology package adds blind-spot monitors with rear cross-traffic alert and the Advance package adds a surround-view camera. Loaded with tech, the 2019 MDX offers good value among luxury crossovers. Every MDX leaves the factory with leather upholstery, keyless ignition, 18-inch wheels, power moonroof, LED headlights, power-adjustable front seats, three zone climate control, four USB ports, eight speaker audio system, and a dual-screen infotainment system with an 8.0-inch information display that sits atop a 7.0-inch touchscreen. Base pricing clocks in at just over $45,000 with destination. From there, MDX buyers have three choices for upgrade packages: Advance, Technology, or A-Spec. Loaded up, the MDX reaches nearly $60,000. At $2,400, the Technology package brings 20-inch wheels, navigation, HD radio, blind-spot monitors with rear cross-traffic alert, remote start, and Acura’s telematic services. A rear entertainment package is available that adds heated second-row seats, 9.0-inch fold-down screen with Blu-ray player for rear passengers, a 110-volt power plug, and premium 11-speaker stereo system for an extra $2,200. 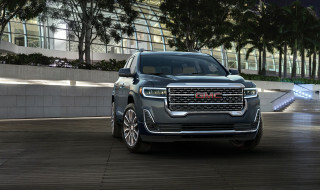 The Advance package drives up the price by $10,450 and adds all of the Technology package features plus a surround view camera, start/stop engine tech, cooled front seats, interior wood accents, second-row captain’s chairs, sport seats, two extra USB charging ports for the third row, parking sensors, and heated front seats. An available rear entertainment system can be added to the MDX with Advance package that adds a whopping 16.2-inch drop-down widescreen, 12-speaker audio, and a 110-volt power plug for an extra $2,000. The A-Spec models include gray 20-inch wheels, a new front fascia, a sporty body kit, red or black leather seating with Alcantara inserts, unique gauges, exclusive steering wheel with paddle shifters, sport pedals and door sills, and carbon fiber accents. The 2019 MDX’s fuel economy numbers make it competitive in its class. MDX models with front-wheel drive are rated at 20 mpg city, 27 highway, 23 combined. 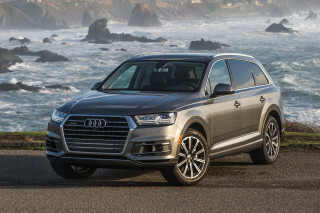 All-wheel-drive models lose 1 mpg across the board. The A-Spec package knocks those numbers down further 19/25/21 mpg and Hybrid models offer 26/27/27 mpg. These numbers put the MDX right in the mix with its rivals. 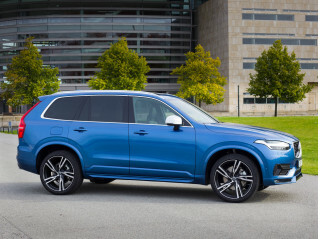 The Volvo XC90 and Infiniti QX60 are rated at 22 mpg combined and the Land Rover Discovery can match that number when equipped with its turbodiesel.